In a program of music with ties across the pond, OMP’s wind section takes the spotlight in Jonathan Dove’s Figures in the Garden, based on music from Mozart’s The Marriage of Figaro. Colorful chamber orchestra works of Malcolm Arnold and Benjamin Britten, performed for the first time in OMP history, will leave you smiling before Haydn’s Symphony No. 102, one of twelve written for the composer’s London trips, brings the house down. 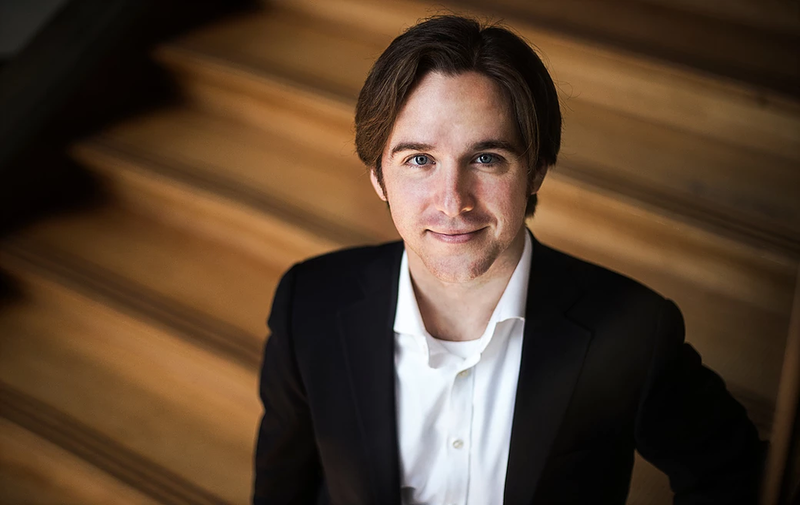 This Fall, Conner Gray Covington begins his second season with the Utah Symphony as Associate Conductor. In his first season as Assistant Conductor, Covington conducted over 80 performances of classical, education, film, pops, and family concerts as well as tours throughout the state. Prior to his tenure in Utah, he was as the Rita E. Hauser Conducting Fellow at the Curtis Institute of Music in Philadelphia where he worked closely with the Curtis Symphony Orchestra and the Curtis Opera Theater while also being mentored by Philadelphia Orchestra Music Director Yannick Nézet-Séguin. He made his Carnegie Hall debut with the Curtis Symphony Orchestra sharing the podium with Ludovic Morlot. Covington began his career as Assistant Conductor of the Memphis Symphony Orchestra and Music Director of the Memphis Youth Symphony Program. A two-time recipient (2017 and 2014) of a Career Assistance Award from the Solti Foundation U.S., he worked with the Nashville Symphony as a featured conductor in the 2016 Bruno Walter National Conductor Preview presented by the League of American Orchestras.